What Would You Ask: Nina Sharp? 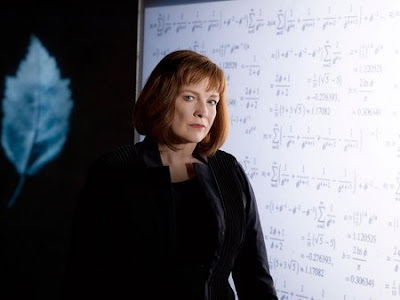 By Adam Morgan Email Post 4/23/2009 02:48:00 PM Categories: Blair Brown, Nina Sharp, What Would You Ask? The brilliant Blair Brown (who's one year older today), will be doing an exclusive one-on-one interview with FringeTelevision on Monday. You guys always have great questions, so let's hear 'em! On a related note, the interviews with Jasika, J.R. Orci, and Jeff Pinkner were slightly postponed, but still in the works, so keep your eyes peeled. They should be up in the next week or so. In Season 2, would you rather see a revelation of the relationship between Nina and Walter, or Nina and Peter? And why? Will we find out at some point who Nina and Broyles are meeting with in the conference room in episode 2? Ask her what her favorite episode was so far. What do you think your relationship is with Broyles, Olivia, Peter and Walter, respectively? What's been your favorite scene so far? Who do you like working with? How did you like the NYCC? Why is Nina Sharp playing both sides of the field in helping Broyles and Olivia along with having her own motives within Massive Dynamic that seem to contradict the motives of Broyles and Olivia? What are the producers' plans for Massive Dynamic and Nina Sharp? They seemed to have been very pivotal to the first part of the season, but have become seemingly less and less prominent with the consecutive episodes. Is it true that Leonard Nemoy has signed on to play William Bell in the Season 1 finale? If so, does he plan to reprise the role in Season 2? Has Season 2 been confirmed yet? Was Nina involved in a 'love triangle' with William Bell and Walter Bishop way back at the start of their brilliant careers. Was it possible that she came between the two scientists..if so who did she choose? What do you think is the nature of Nina's early relationship with Peter? Seriously, The Arm. The bionic arm. Was it just a gimmick to make Nina Sharp interesting - or will it come into play in future storylines? Nina seems like a 'herder' to me. She gets people going in the right direction, but never really steps-up and says "go here, do this, that is why." Why does she avoid specifics? In the same respect, she does seem like a docent to Peter and Olivia. Is stewardship Nina's underlying goal with those two? Will the "favor" Nina asked peter to promise her be mentioned again this season, or will it wait until the next? How do you feel about Leonard Nimoy portraying William Bell? How much do you influence Massive Dynamic? 1). Just how much time do you think Nina and Peter spent together when he was younger? 2). Again, will the favour she asked of Peter be metioned again this series or will it wait until the next? 3). If the next, what do you think the favour will be? Any theories? Did you have a realtionship with Walter? Was Nina involved, in any way, with the Cortexiphan studies? Nina will not be in the next episode, but she will be in the final two. PS. to all Anonymouses - in the future, please select the Name/URL option when you leave a comment. Thanks! You've had a long and critically successful career. You are the reason I tuned into Fringe in the first place. What is it that appealed to you specifically about this role? What, if anything, have you learned from playing Nina Sharp? The only one of the mysterious Fringe glyphs to actually get screenplay time thus far is the leaf with the triangle on it, and it's center of reference is Massive Dynamic and Nina Sharp. What (if anything) does this mean to you and can you give any insight to it's purpose? Can we still ask questions to Orci and Pinkner? Fringe LIVE Chat Tonight: "Midnight"
Fringe At PaleyFest 09, This Thursday Night! Fringe To Canada, No Wrap Party For Crew? What Would You Ask: Charlie Francis? Fringe's Glyph / Symbols Code Cracked!